There's a huge misconception that a lot of people have about using the iPhone. And once you learn the truth, it might change your life. I see it every day. 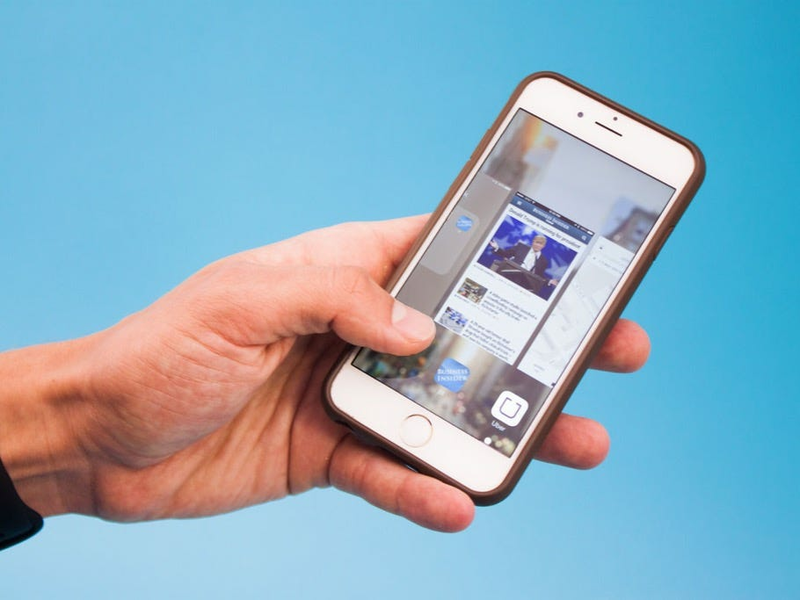 People are standing in line to get coffee or waiting for the next train, and they start swiping up on all of the apps in the iPhone's multitasking switcher — you know, the list of app screens you get when you double tap the home button. The idea is that swiping up removes the app from the switcher, effectively killing it until you reopen it again, which would make your battery last longer. No one wants a bunch of open apps draining their battery life! Except that almost none of the apps you've been swiping up on all this time are actually open. They're just static images of apps you've opened in the past. Think of it as your iPhone giving you visual bookmarks for jumping between your most recent apps. iOS, the mobile operating system that the iPhone runs, is actually smart enough to kill apps on its own. It has been for years. This isn't to say that there aren't times to manually close apps. But "generally, there's no need to force an app to close unless it's unresponsive," according to Apple. So unless you have OCD and just can't sleep at night without clearing out all of your apps, there's no need to constantly swipe up. Next time you see people falling into the trap of thinking they need to close all of their apps, let them know the truth. They'll thank you for all of the time you'll save them in the future.